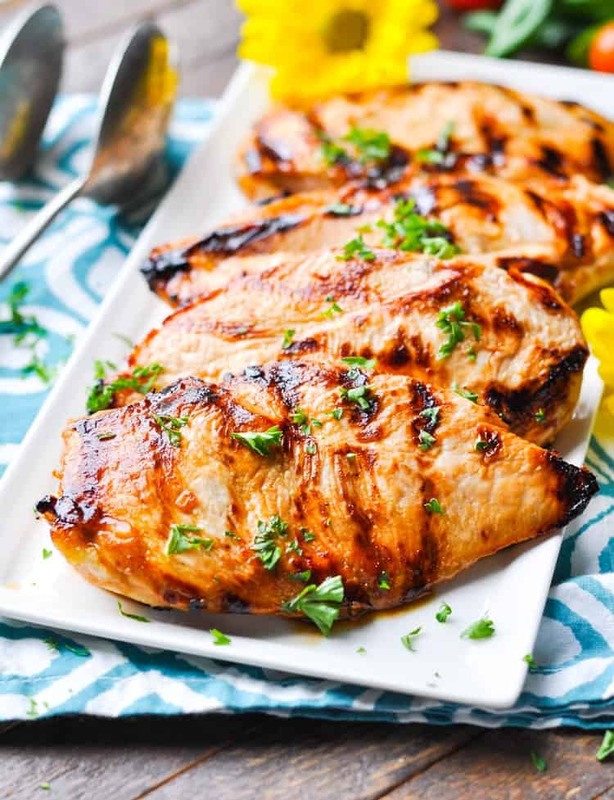 Whether you grill, pan fry, or broil the meat, this juicy and flavorful Marinated Chicken is a healthy dinner that's ready in just 10 minutes! Here’s one of those great “No Work” meals that you can prep in about 5 minutes and then just leave in your refrigerator until mealtime! 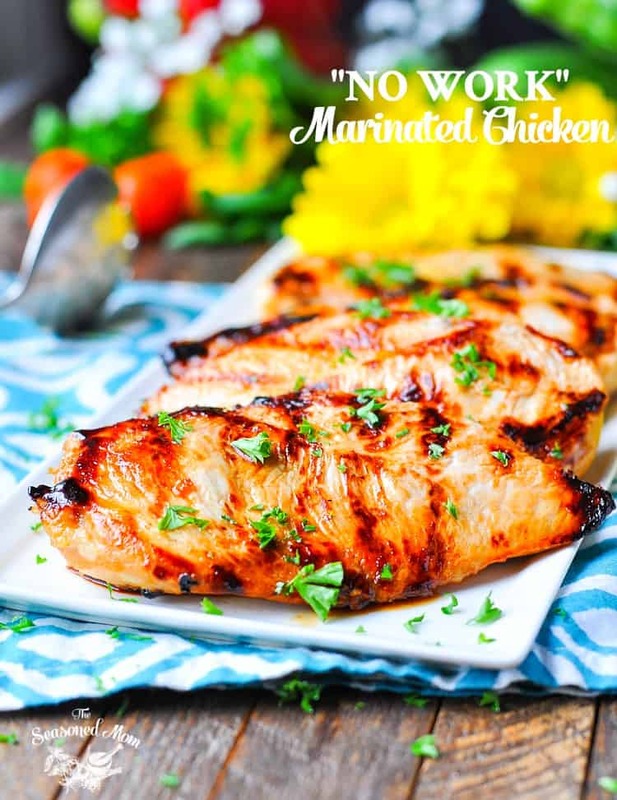 Whether you grill, pan fry, or broil the meat, this juicy and flavorful Marinated Chicken is a healthy dinner that’s ready in just 10 minutes! 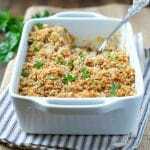 Chicken is such a simple dinner solution because it’s relatively affordable, it’s nutritious, and it appeals to just about everyone. That said, from time to time we all get in a chicken “rut,” where we’re preparing the same recipe, in the same exact way, over and over again. What was once a delicious option suddenly seems boring…tired…and uninspiring! That’s why you’re going to love today’s marinated chicken recipe! It’s an easy twist on a classic chicken dinner — and there’s nothing BORING about it! With only 5 ingredients (and some chicken), this meal comes together FAST! The pineapple juice and the honey give the meat a subtly sweet taste, while the soy sauce and garlic add a great savory layer. 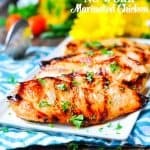 This Marinated Chicken is complex and simple…all in one bite…and it requires almost NO WORK on your part! We serve the chicken with a good crusty bread, with pasta, in wraps, over salad, or on sandwiches. Straight off the grill, at room temp, or right out of the fridge, it’s an easy and healthy dinner that’s versatile, family-friendly, and best of all — delicious! Cooking Just for Two? You can easily scale the portions of this recipe depending on how much meat you want to cook. I would suggest using about 1 lb. of chicken and cutting the marinade ingredients in half proportionally. Marinating and cooking times will stay the same! Want to Prep Ahead? 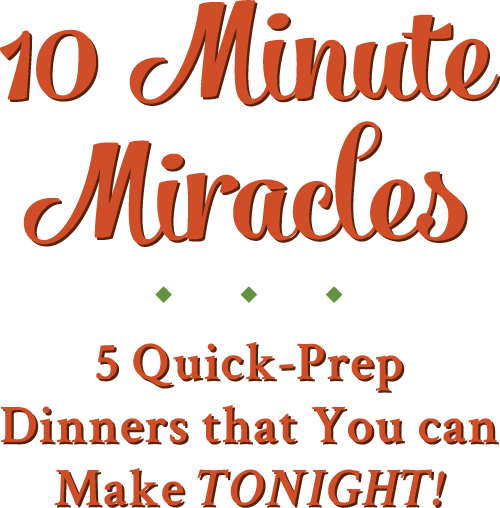 This is the ultimate make-ahead meal! You can marinate the chicken for up to 2 days before cooking it. You can also cook the chicken in advance and then serve it cold, sliced over a salad or on sandwiches. Place chicken in a large zip-top bag or container with a lid. In a medium bowl, whisk together remaining ingredients until completely combined. Pour marinade over chicken, seal bag, and refrigerate for 24-48 hours. 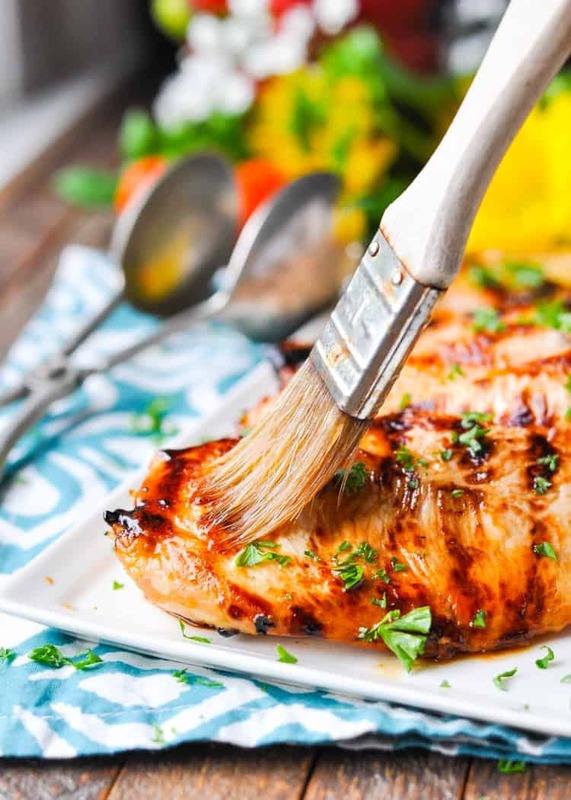 When ready to cook, remove chicken from the marinade. Discard marinade. Heat a nonstick pan, grill pan, or outdoor grill over medium-high heat. Coat grill or pan with about a teaspoon of oil so that the chicken doesn’t stick. Sear or grill chicken on each side until golden, crispy and cooked through (about 5 minutes per side, or until meat reaches an internal temperature of 160 degrees F). Allow meat to rest for about 5 minutes before slicing and serving. I often get into a chicken rut too…sometimes I’m just out of ideas or make the same ‘ole dish over and over again. 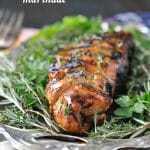 I love this simple marinade! I have all of the ingredients in my kitchen, so I’ve got to try this next time. Sounds wonderful! Thank you, Gayle! Don’t you just love recipes that you can make with pantry staples? So easy! I would like to serve this dish to company for dinner. Do you have any suggestions for side dishes to accompany this dish? There will be four of us. Hi, Sue! That’s wonderful! 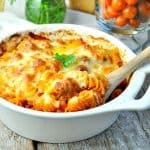 It’s a perfect casual summer entertaining meal! I would serve the chicken with a few simple, fresh sides that take advantage of summer produce. Corn on the cob, a green salad, sliced fresh tomatoes, fruit salad, or a corn and bean salad like my Cowboy Caviar in this post would all be great. 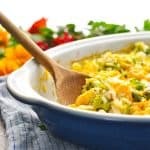 https://www.theseasonedmom.com/cowboy-caviar-chicken/ The Cowboy Caviar and a fruit or green salad can all be prepared in advance, which is nice when you’ve got guests coming over. 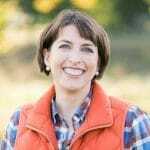 I would also serve some sort of grains (assuming you and your guests eat carbs) — so maybe a loaf of French or Italian bread from the bakery, some dinner rolls, or a side of your favorite rice. Oh, and dessert — I would do a peach cobbler or a blueberry pie with vanilla ice cream. Or maybe a strawberry shortcake with store-bought poundcake, fresh strawberries, and whipped cream or vanilla ice cream. Or just some cookies from the bakery with a dish of ice cream or sorbet! Enjoy! Yummm! This looks so good! I’m all for simple, easy meals! I am making this chicken tonight but only started marinating it at 10 am this morning. Definitely won’t hit the 24 hour mark. Is that going to be ok? Thanks, Blair! It was a hit! I will definitely be making this one again. Excellent! Thanks for letting me know, Madison. I’m so glad that you enjoyed it! 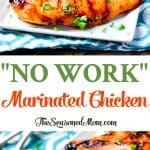 This marinade sounds so delicious, can’t wait to try it next time I have chicken!